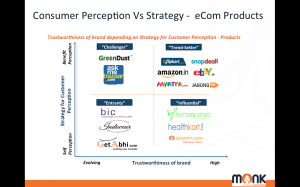 Is Perception overrated in eCommerce? 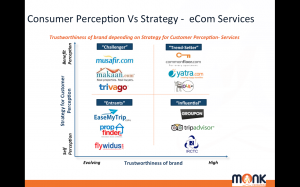 Home / Is Perception overrated in eCommerce? ……and the same goes with perception. Last weekend we went to a small Open Café, in Gurgaon an offbeat location. At 4 in the evening, crowd had weaned off…our server, was welcoming, got into a friendly chat, (rare in Gurgaon). During our discussion, he said, “we are listed on “ZOMATO”, and with 4.4 user ratings we have to be careful of how we are perceived by our customers”. 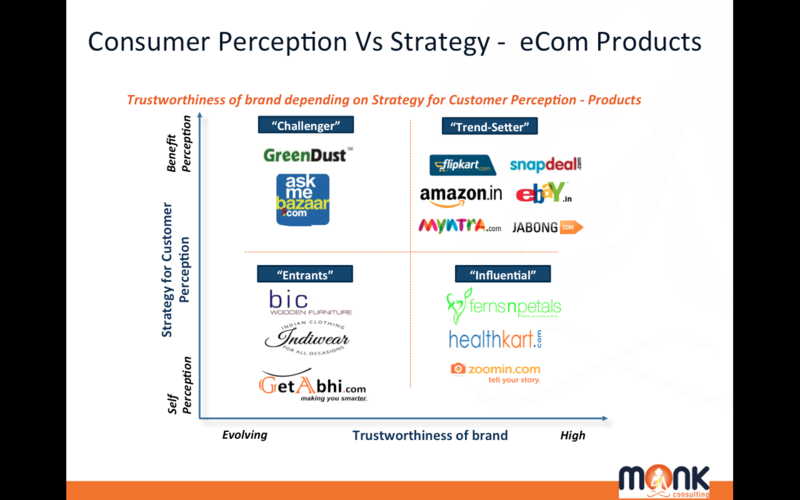 So if traditional businesses are victor/victim of online perception, what about eCommerce??. 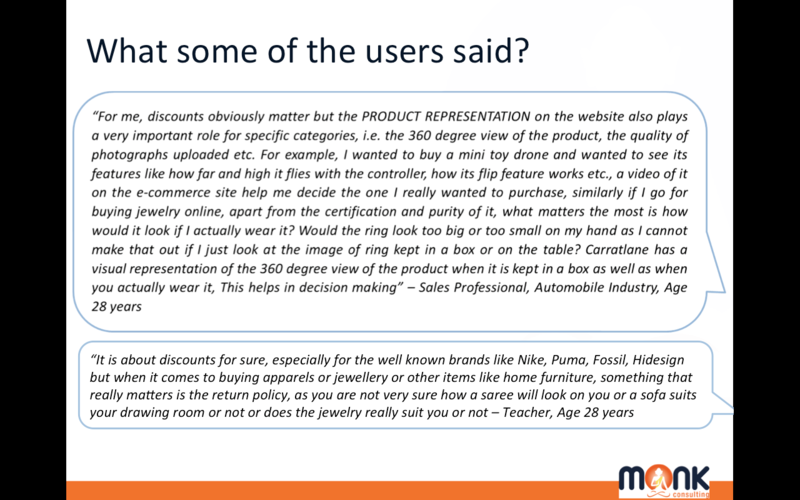 eCommerce, gained popularity by offering large scale discounts, had their share of perception challenges/ advantages. Ask any online business and they will say technology, scale; smart pricing not just discounts are the key to success, and however the general sentiment/ perception is hard to beat. 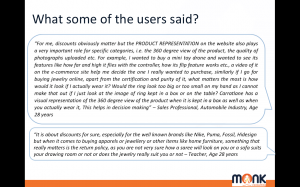 Consumer’s/End User’s perception directly effects buying behaviour. A company loses its perception and. …Bang, nobody wants to buy your product or talk favorably about your product / brand. Thus it pays to work on the perception / profiling your company to compete, regain or build your market value. Today, honest offerings, supported by trustworthy perceptions are a must. Some changed their business models – Flipkart: Bookseller, to multiple products categories to marketplace for 50+ product categories. Some extensively expanded their offerings – Snapdeal from “online deals” site to a marketplace across categories of products, Yatra from online ticketing to complete travel solutions etc. 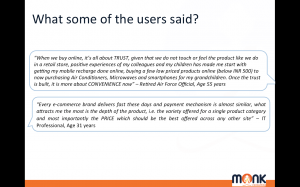 Some partnered with other brands for (exclusive) product offerings – Motorola with Flipkart etc. and other introduced their own delivery channel (Jabong introduced GoJavas) for quick deliveries. Some partnered with (or introduced their own) logistics companies for quick deliveries – Yepme etc. 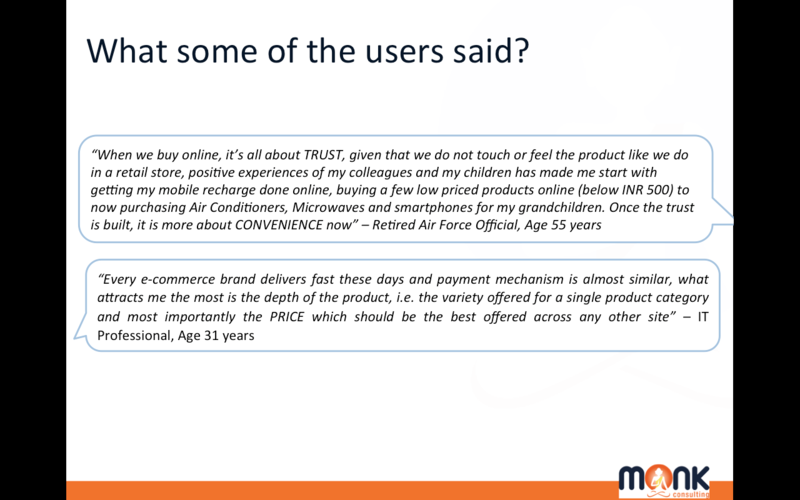 While some did it all, some others focused on specifics – Homeshop 18: TV shopping site to a full-fledged e-commerce site. Offerings products (tangible goods) or services (like hotel booking, travel sites, mobile recharge etc.) 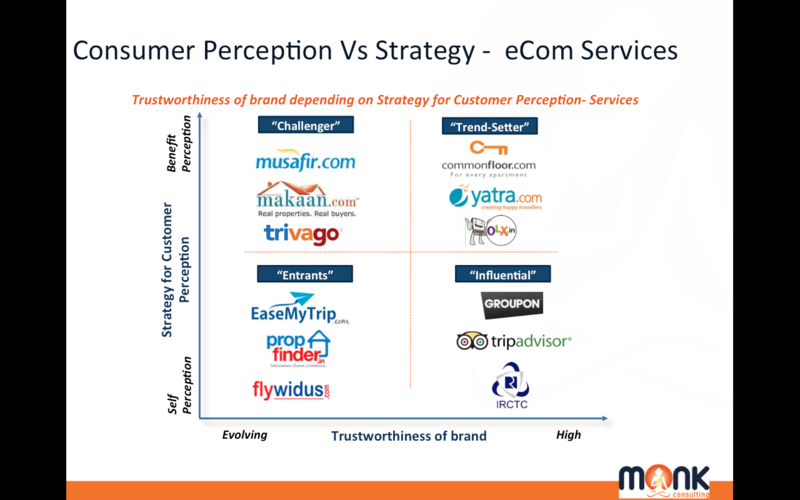 or is it a site comparison tool as the value proposition may differ across all these categories. Product offerings of these sites, for example are they offering niche categories like jewelry, healthcare products, fashion apparel and accessories, baby products etc. or are they offering generic products across categories like Flipkart, Amazon, E-Bay, Snapdeal etc. We answer basic questions we encountered : How to Build Perception? One thing companies should do is to study and implement outcome from “consumer perception theory” and determine how their customers identify them. This also forms the basis of developing marketing strategies. Majority of eCommerce have limited focus on customer perception or are so stuck in the operational trap that they fail to realize it before its too late. Thus perception management becomes one of the key inputs to any online business. Price perception: value proposition, which in turn forms the benefit perception of the customer against the real price paid for the product/service. Benefits Perception (experience): Intangibles like Support services, product quality, grievance handling, customer loyalty programs and effective supply chain, forms repeat buying. Adaptable marketing strategies are a must in current competitive scenario, especially when running an online business. Most eCommerce companies follow hit and trial method strategy, especially if they have limited budget/focus on marketing initiatives. This does not let e-commerce companies realize their ROI and build a positive brand image, which requires detailed analysis and a credible framework for an optimum outcome. Product /services offerings in line with overall ability, identifiable customer segment and vision. Whether the brand is perceived as Influencer, Trendsetter or a Challenger or Me too Brand. Whether the brand is an established one or a new brand in market. Whether it owns inventory or follows a marketplace model or a hybrid one.Proactive communication: Ownership & resolution of mistake should be owned up quickly (few hrs). Be Consistent: Long list does not matter, what matters is what you can offer consistently…once you have scale expand. Drop the ball and everyone will notice. Brand is built on perception, so allow people to expect the best from you (your company). Adopt a troubleshooting mentality. Once fixed find strategies and resources to prevent it from recurring, this will help you minimize losses.